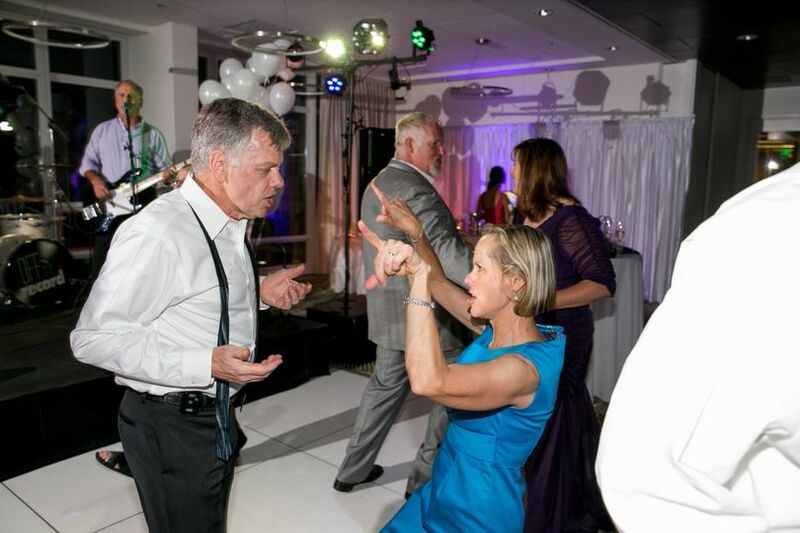 Off The Record will get your reception party movin' & groovin' with a professional presentation and excellent music reproduction. 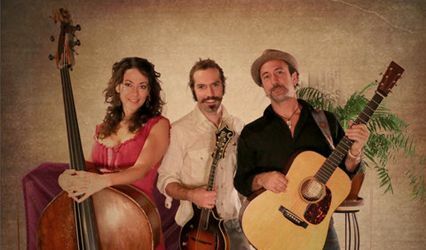 Pick from our song list, add in some of your favorites, and we will custom tailor a set list to your event needs. Complete computer controlled DMX light show, choreographed to the set list. Includes LED Par Lights, Strobe, Motion Laser and Fog/Haze. How Important is the Light Show? 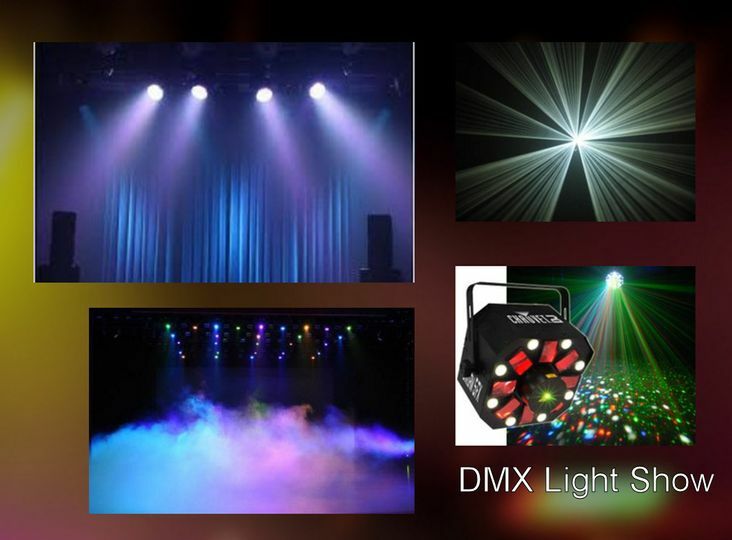 Bring your event to life, with Off The Record's choreographed DMX light show !! Great music is just the start... A good light show is CRITICAL in setting the right mood and getting your party-goers off their seats and onto the dance floor. Depending on the venue, our lighting rig can elevate the fixtures as high as 9' overhead, which provides dramatic effects and down-lighting to add excitement to any show. The lighting scenes are customized and programmed for each song in the set list and feature motion, pulse, sound activation, and strobe. Why Is The PA System So Important? 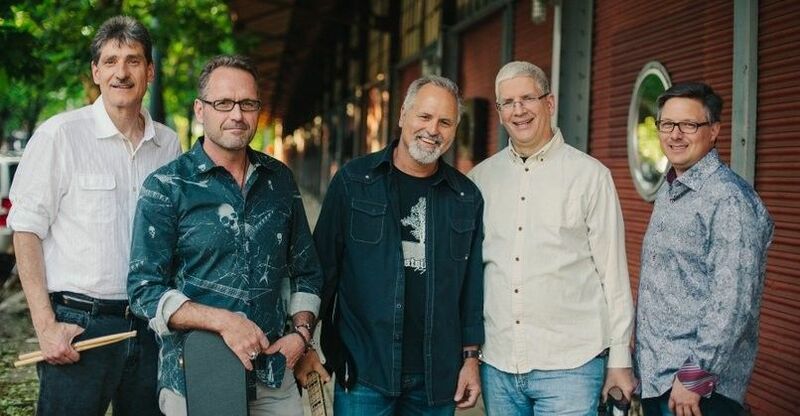 Having good musicians in the band is one thing... But in order to sound good to the audience the band must have a quality PA system suitable for the venue. The PA system manages all of the individual vocal microphones and instrument signals, balances the volumes across all signals, then projects that mix back toward the audience. 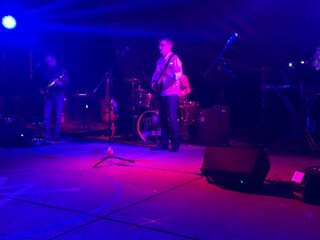 The PA system is also used for stage monitoring, event announcements and to playback recorded music during band breaks... because even when the band isn't on stage, the PA is hard at work playing music for the crowd. 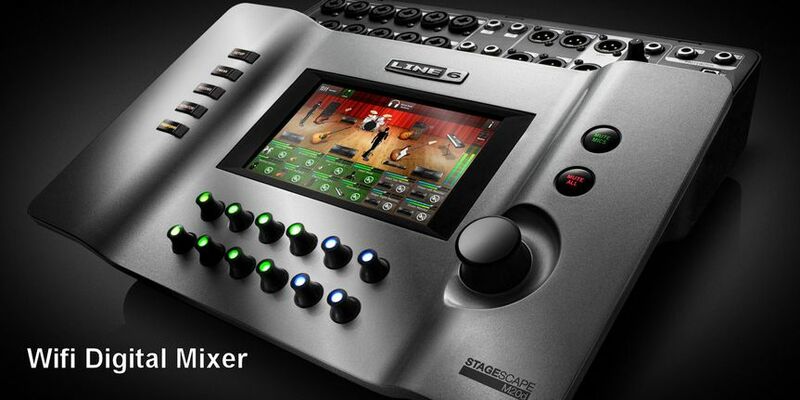 If you don't have a large enough mixer, you can't capture all of the instruments and the result will be an unbalanced sound and "dead spots" in the room. In addition, if you don't have powerful enough speakers for an outdoor venue, you can't get a clean sound when you turn up the speaker volumes. Commonly, lower power/quality PA speakers can produce undesirable hum, hiss and crackle sounds when driven too hard. For the best music experience, Off The Record has invested in the Line 6 Dream Stage PA System, which consists of the StageScape M20D 20 channel wifi/USB compatible digital mixer, a pair of StageSource 3-way L3T main speakers, and a pair of system matched StageSource L3S subwoofers - each subwoofer consists of two 10" speakers dedicated to driving the beat. All speakers have built in advanced DSP technology (digital signal processing) which automatically adjusts frequencies and speaker characteristics for the best possible live sound reproduction. The system output ranges from 1,400 watts to 6,000 watts, and can be scaled to the specific venue. 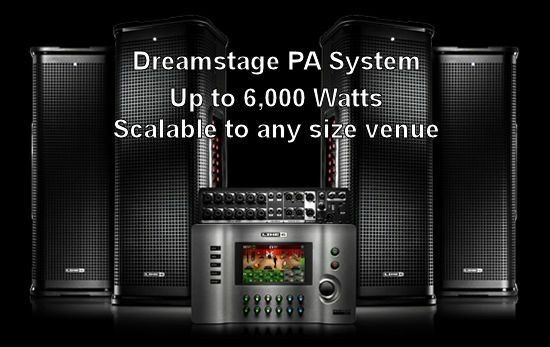 With this state of the art Dream Stage PA System, Off The Record can deliver outstanding audio projection - whether you have a small club, or a 5,000 person outdoor venue. With this much music-muscle... It's time to PARTY !! Click on "Pricing & FAQs". Scroll down to the "Pricing Details" section. A PDF file of our price list will then be displayed. As a part of our standard services package, prior to the event date Off The Record will meet with you on-site, at the performance venue. This helps in planning and coordination for the event - and also helps identify any special needs or requirements. STAGE: Recommended stage size = 16' wide (left to right), 12' deep (front to back). This allows for ample setup and spacing of the musicians and equipment. Also, this allows for plenty of room to bring "special guests" onto the stage. Recommended stage height = 12". A stage is not required, but it is strongly recommended in order to create a show/entertainment atmosphere. 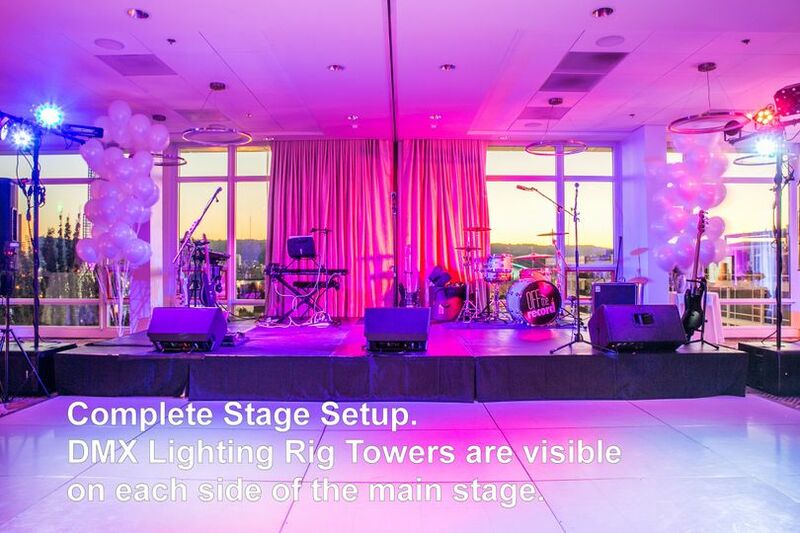 If a stage is being provided, it must be installed/assembled prior to the Band's arrival at the venue. ELECTRICAL: Power requirements: 1-2, 30 amp power circuits. Either hard-wired, or gas powered generator. DANCE FLOOR: Should be a hard surface (not grass/dirt). Approximately 16' wide (left to right). 12'-16' deep (front of stage to back of dance floor). Also take into consideration for the number of attendees. A 16' x 12' dance floor can comfortably accommodate 20-30 people. TENTING/CANOPY: For outdoor events, day or night, a canopy or tent is required for the band/stage area. A tent/canopy provides shelter from the elements, and also provides a backdrop for the various DMX lighting effects. VENDOR RECOMMENDATION: See www.offtherecordband.rocks for preferred event rental companies for STAGE, DANCE FLOOR, TENT/CANOPY rental needs. 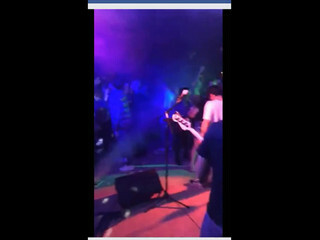 STAGE AREA: Unless accompanied by a band member, the stage area is strictly off-limits while Band is present at venue. PICTURES: If requested in advance by Client, Band will host children on-stage during one band break for photographs with the band equipment. FOOD/BEVERAGE: Based upon the timing/schedule of the event, appropriate food & beverage accommodations should be made for the band members while present at the venue. 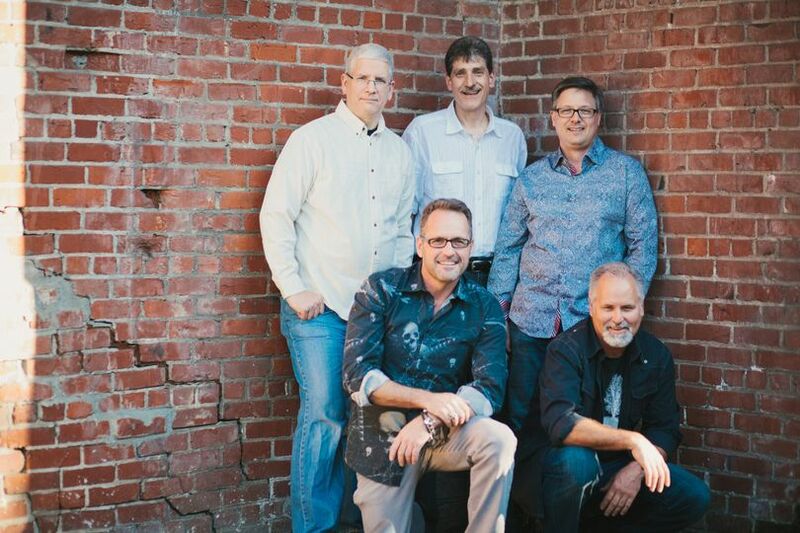 The band will normally not leave the venue once the equipment is setup. BREAK MUSIC: Band will normally bring event-appropriate iPod music to play during event breaks. 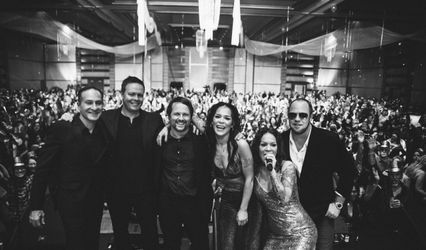 Client must provide advance request for any special music requirements. SETUP: For the full band setup (equipment, DMX light show, etc), at least 3 hours are required for setup and sound check. Approximately 1.5 hours are required for tear-down. SOUND CHECK: A client representative should be present for the sound check to review overall sound levels. The sound check will be scheduled for a specific time, in advance of the official performance start time. BAND LOADING & PARKING: Client is requested to make special accommodations for band vehicle access and parking while band is present at venue. TIPS/GRATUITIES: Band will not solicit tips from event guests. Client gratuities are appreciated at the conclusion of the performance, based upon client satisfaction. 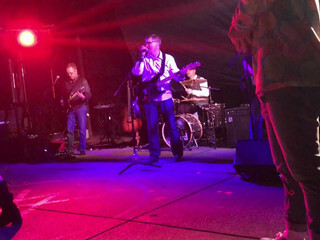 SAFETY: For the safety and protection of all band members, clientele, guests and equipment, Off The Record, at its sole discretion, may suspend or cancel performance at any time during the event. 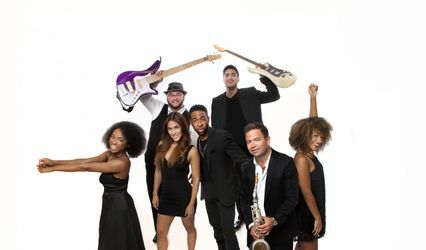 What a fun band !!! The multi-generational variety of music was GREAT ! Music for everyone ! 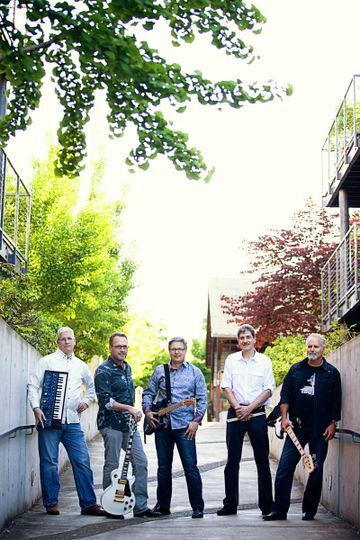 These guys played at my friend's wedding. They are off the hook !!! They are absolutely the best band I have seen that is not famous ... yet !! 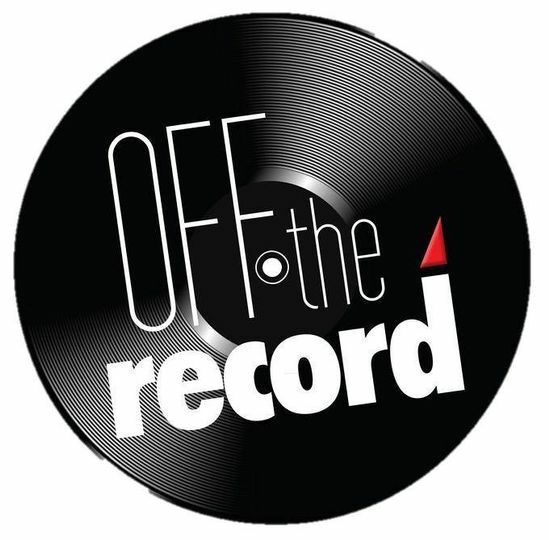 Off the Record brings sound and lights, plays a variety of songs to appeal to all, open to suggestions, interacts to get people to have fun!